Ford plans to cut 10 per cent of its workforce across North America and Asia this summer, but most job cuts are expected to be voluntary. 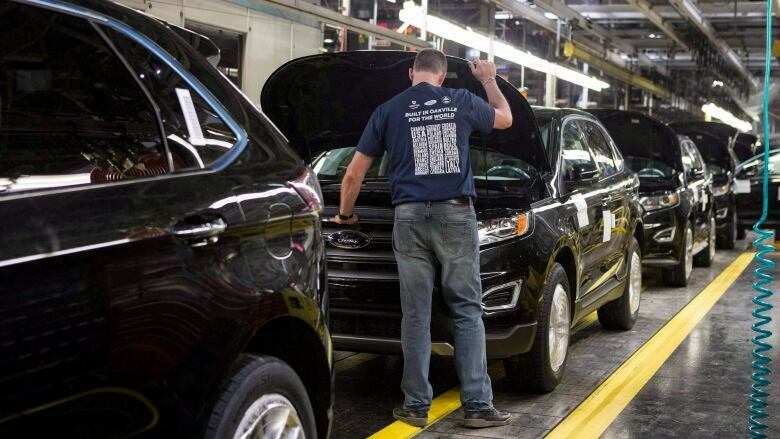 The automaker said it expects about 1,400 job cuts from a total worker pool of 15,300, including 9,600 in the U.S., 1,000 in Mexico, 600 in Canada and 4,141 in Asia. Details of voluntary early retirement and separation packages will be offered to employees next month, spokesperson Mike Moran said. "We remain focused on the three strategic priorities that will create value and drive profitable growth, which include fortifying the profit pillars in our core business, transforming traditionally underperforming areas of our core business and investing aggressively, but prudently, in emerging opportunities," Moran told CBC News in a statement. "Reducing costs and becoming as lean and efficient as possible also remain part of that work, including plans to reduce 10 per cent of our salaried costs and personnel levels in North America and Asia Pacific this year, using voluntary packages." None of the job cuts are expected to come from plant manufacturing, information technology, product development, credit department or analytics. All other "skill teams" will be included, however. Employees in Europe and South America aren't included in Wednesday's news because they are already undergoing their own workforce adjustments. The company's units in the Middle East and Africa are exempt because those businesses are still being built.